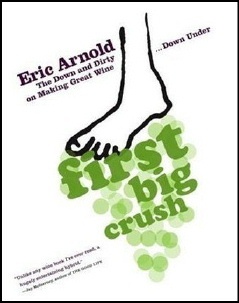 One day, 29-year-old Eric Arnold decides to leave New York and work at a winery in New Zealand for one year. Not knowing much about wine, he arrives right before harvest, the craziest and busiest period of the year for any winery, and joins in the everyday work. After some close encounters with run-away steel hoses and nearly exploding steel tanks, he becomes involved in each step of the winemaking process, only to be interrupted by wild nights at the local pub, girls, and rugby. Not everyone will enjoy Arnold’s language and explicit sense of humor. At times, he appears immature and embarrassing, given his frequent use of the F-word and numerous stories of heavy drinking. On the other hand, he can be an entertaining and likable narrator, who takes the reader along his journey of becoming an expert winemaker. While providing fascinating insights into the real life of winemakers, this wine book will definitely impact the more romantic perception of winemaking, which many wine connoisseurs cling to.